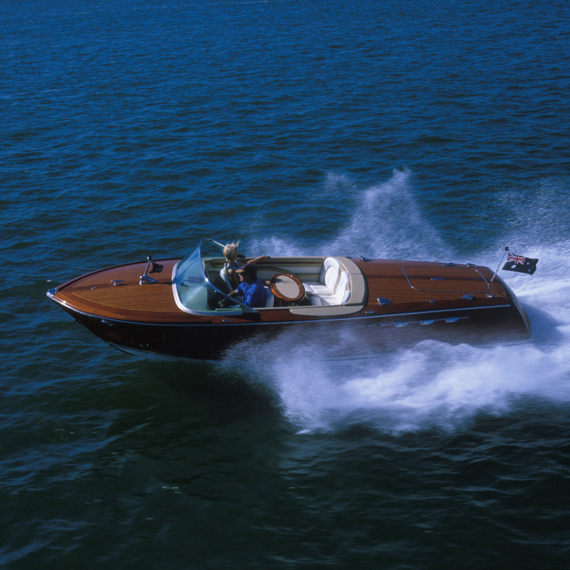 The Mon Chéri ( My darling ) is a classic hand crafted, italian styled timber speed boat like one you might find on the canals of Venice, the waterways of the French Riviera or moored outside a luxurious mansion on Lake Como. Built with love from fine brazilian mahogany and upholstered in soft white leather, the elegant lines of the craft ooze sophistication and luxury. The boat is powered by 260 hp of deep throated muscle and is equally at home on the iconic Sydney Harbour or the stunning Pittwater waterway, north of Sydney. © COPYRIGHT 2018 | MONCHÉRICHARTERS.COM | ALL RIGHTS RESERVED.